Keep your RV balanced... without medication. Total weight of less than 10 lbs. Each tile measures 8.5" x 8.5" x 1.5"h.
As simple as building blocks. 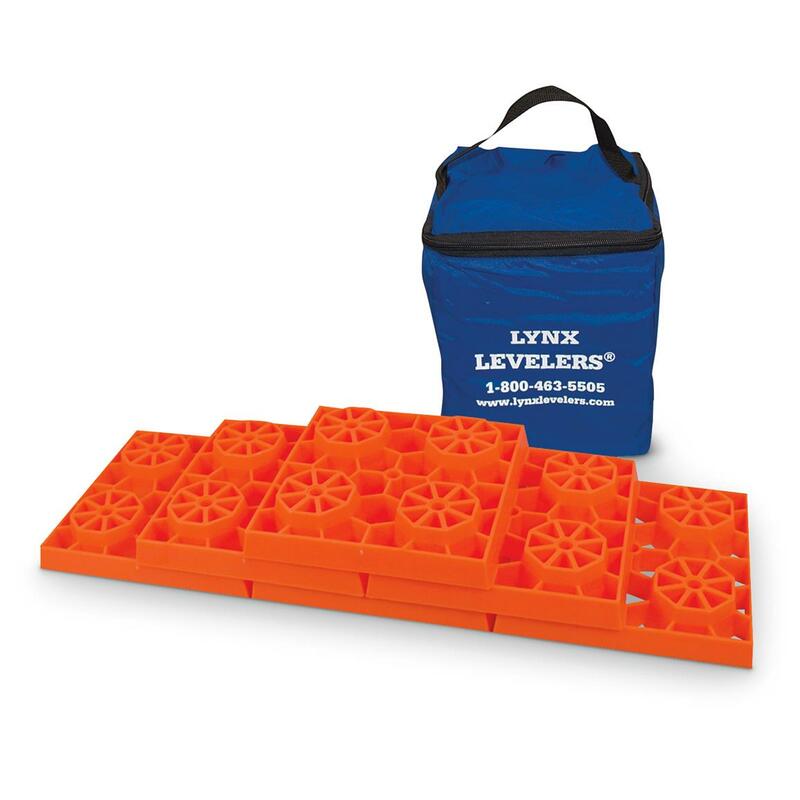 Made to withstand tremendous weight, the Lynx Levelers are designed to be stacked in a pyramid formation to the desired height and then drive your RV on up. It's that easy. If you can use building blocks, you can do this. They can also be used for jacks, single or dual wheel, under tandem axles, or for other stabilization equipment. Compact and easy to store, bring them with you on all your trips for quick and easy leveling.